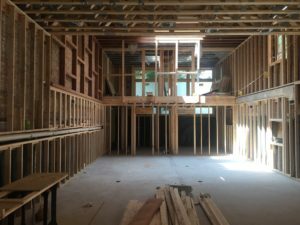 MB Design & Build is a boutique architectural design and construction company offering personalized design and construction tailored to maximize your budget. What Makes MB Design Different? MB Design and Build is led by Martins Buka, a Chicago Art Institute-trained designer who has successfully designed, built and renovated numerous Chicago-area homes and businesses for more than 18 years. We are a relatively small company created to deliver high-end quality workmanship to medium and large-sized projects. We specialize in the interior/architectural design, renovation and restoration of residences. Martins brings to his projects professional skills in design with the integration of general contracting. Projects are designed and managed by Martins, and that is a great advantage for his clients clients as there are always direct communications with him. His personable style makes clients comfortable and confident in his vision, talent and follow-through. MB Design and Build offers competitive pricing: a reputation for integrity; impressive and tasteful design skills; polite and careful construction crews, and attention to every detail. 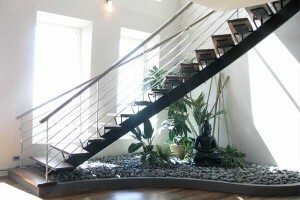 At MB Design & Build we design for harmony and balance. Our personable approach ensures that our clients are comfortable and confident in our vision, talent and follow-through. We offer architectural and interior design services from floor plan creation to detailed millwork and material selections. We specialize in full gut renovations and custom millwork. At MB Design & Build we manage and control all phases of the design and construction process to avoid costly delays and interruptions. Our work is guaranteed and our professional contractors are licensed and insured.